This end user license agreement (“Agreement”) is a legal agreement between you (in your capacity as an individual and as an agent for your company, institution, or other entity) and SMSReplier, Inc. “SMSReplier”. 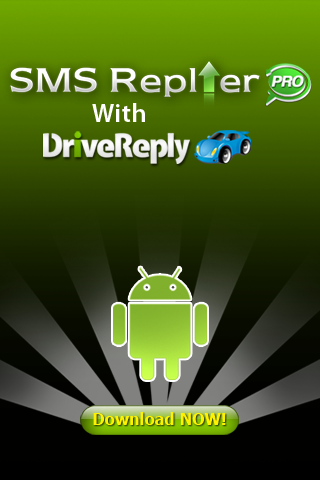 You may download and use the SMSReplier software (“Software”) on a Mobile Telephony Device device only for your own use. You must read the Agreement and press the “Agree” button and in doing so, you agree to be bound by all of the terms of this Agreement. Accessing, downloading, installing, using or copying of the Software by you or a third party on your behalf indicates your agreement to be bound by the terms and conditions of this Agreement. If you do not agree to these terms and conditions, do not access, download, install, use or copy the Software. In the absence of this Agreement, you have no rights in the Software. Upon installation of the software, a date/timestamp, ip address, imei, device model, service provider, and geo-location will be recorded as your acceptance for these terms. Subject to the section titled “Rights Reserved; Ownership” below and without warranty of any nature, SMSReplier hereby grants to you, and you hereby accept, a non-exclusive license (“License”) to download, install and use the Software on a single Mobile Telephony Device device. (iv) Reverse engineer, decompile, or disassemble the Software. This License does not grant you any right to enhancements or updates to, or support or maintenance for, the Software or any modifications made by SMSReplier. SMSReplier reserves the right at any time not to release or to discontinue release of any Software and to alter prices, features, specifications, capabilities, functions, licensing terms, release dates, general availability or other characteristics of the Software. SMSReplier hereby expressly reserves all rights in the Software which are not expressly granted to you under this License. SMSReplier is free to license the Software on terms different from those contained herein. Title to the Software, any modifications, and all copies thereof remain with SMSReplier. The Software includes trade secrets and information that is confidential and proprietary to SMSReplier and you agree to take all necessary actions to protect the confidentiality of such information. You agree to prevent any unauthorized copying of the Software. Except as expressly provided herein, SMSReplier does not grant any express or implied right to you under any patents, copyrights, trademarks or trade secret information in the Software. The Software is provided to you “as is” without warranty of any type or nature, and SMSReplier hereby expressly disclaims any warranties, express or implied, including, but not limited to, any implied warranties of merchantability, fitness for a particular purpose, title or non-infringement or any warranties arising by usage of trade, course of dealing or course of performance. In addition, SMSReplier expressly disclaims any liability for the accuracy, completeness or usefulness of the Software and does not warrant that the Software will function uninterrupted, that it is error-free or that any errors will be corrected. You assume total responsibility and risk for your use of the Software, including, but not limited to any defects or inaccuracies there in. In no event shall SMSReplier be liable for any indirect, incidental, consequential, special or punitive damages of any kind or nature, including, but not limited to, loss of profits or loss of data, for any reason whatsoever, whether such liability is asserted on the basis of contract, tort (including negligence or strict liability), or otherwise, even if SMSReplier has been advised of the possibility of such loss or damages. In no event shall SMSReplier s liability for damages arising from or in connection with this Agreement exceed the aggregate amount (if any) paid by you in respect of the Software during the twelve month period prior to the event giving rise to liability. You shall defend, indemnify and hold harmless SMSReplier and their respective directors, officers, agents, employees and volunteers from and against any and all claims, suits, losses, damages, costs, fees and expenses arising out of or in connection with this Agreement. You shall pay all costs incurred by SMSReplier in enforcing this provision, including reasonable attorneys’ fees and court costs. You agree that under no circumstances will SMSReplier indemnify you or any other person. You agree that any material, information or other communication relating to the Software, including all data, images, sounds, text, and other things embodied therein, that you transmit to SMSReplier will be considered non-confidential (“Communications”). SMSReplier will have no confidentiality obligations with respect to the Communications. You agree that SMSReplier and its designees will be free to copy, modify, create derivative works, publicly display, disclose, distribute, license and sublicense through multiple tiers of distribution and incorporate and otherwise use the Communications, including derivative works thereto, for any and all commercial or non-commercial purposes without compensation or other obligation and that SMSReplier is the sole and exclusive owner of any and all such modifications and derivative works. This Agreement will commence on the date that you download and install the Software. SMSReplier may terminate this Agreement and your right to use the Software immediately should you materially breach any of its provisions or take any action in derogation of SMSReplier’s rights to the Software, including, but not limited to disclosing, modifying, decompiling, translating, disassembling or reverse engineering the Software. Upon any termination of this Agreement, you agree to immediately stop using the Software and uninstall it from your Mobile Telephony Device device. This Agreement embodies the entire understanding and agreement between the parties as to the subject matter of this Agreement. All previous negotiations, understandings, representations, warranties, memoranda or commitments in relation to, or in any way affecting, the subject matter of this Agreement are merged in and superseded by this Agreement and shall be of no force or effect whatever and no party shall be liable to any other party in respect of those matters. No oral explanation or information provided by either party to the other shall affect the meaning or interpretation of this Agreement, or constitute any collateral agreement, warranty or understanding between the parties. © 2019 SMS Replier. All Rights Reserved.